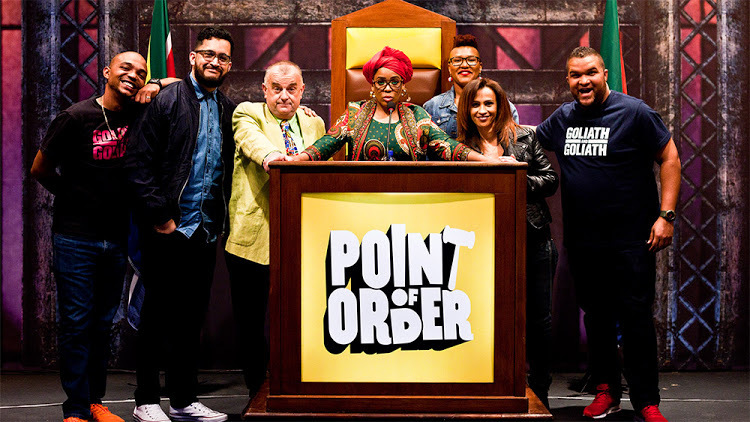 On Digital Media’s (ODM’s) pay TV platform, StarSat, is proud to announce the highly anticipated release of ‘Point of Order’, a comedy panel show created by Both Worlds, the award‐winning makers of Puppet Nation. 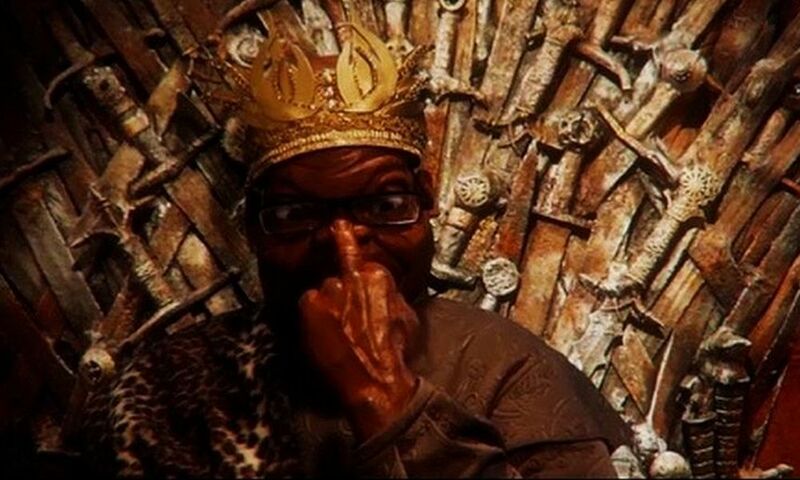 The show, a light hearted parody of a parliamentary set up, with comedians taking the law into their own hands, will launch on 14 November 2015 on the StarTimes One channel. 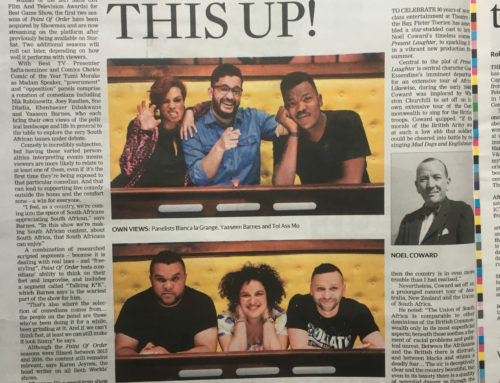 South African comedians such as Tumi Morake, Celeste Ntuli, Nik Rabinowitz, Trevor Gumbi, Mark Banks, Deep Fried Man, Louw Venter, Sne Dladla and many more find themselves in a mock parliament, answering questions and improvising around how well they know, or think they know, the world, their country and their fellow citizens. Above all they want to win the favour of Madam Speaker, who rules over the ‘Government’ and ‘Opposition’ benches. 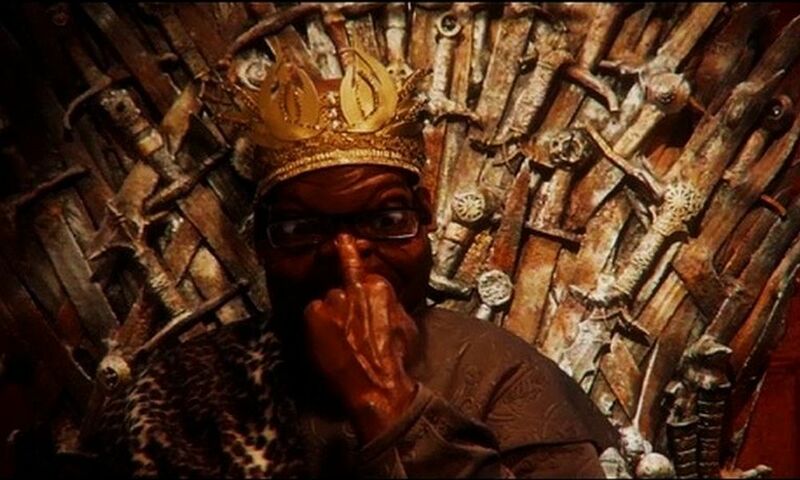 “People of South Africa, it’s time. It’s time for comedians to take back what politicians stole from us. 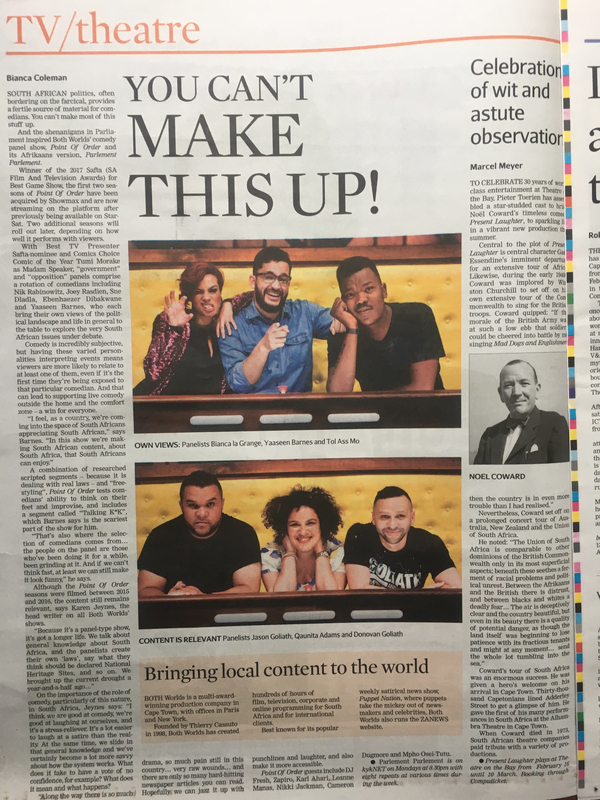 If they want to turn parliament into comedy…we will take comedy to parliament,” says Madam Speaker, Sbosh Mafu, at the top of the first show. 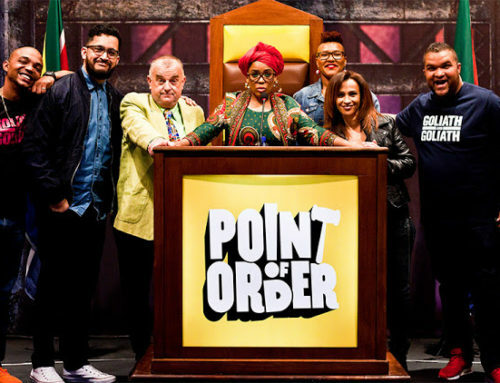 “Point of Order is a refreshing and very funny new show for South African audiences, in the style of QI and Would I Lie To You, but with a uniquely South African flavour,” Both Worlds executive producer Thierry Cassuto said. 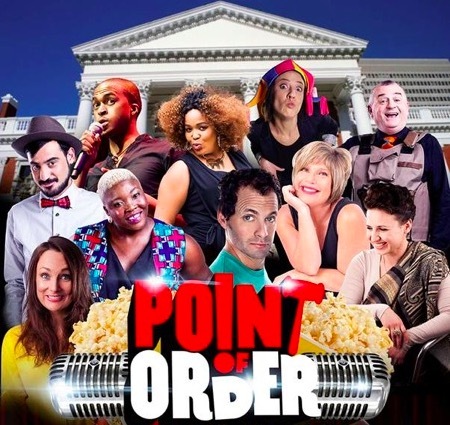 An original format developed and produced in South Africa by Both Worlds, Point of Order features local knowledge, ideas and jokes, opportunities for comedians to introduce important and vital new laws ‐ like bad hair days being grounds for medical leave ‐ and of course gives guests a chance to talk well, politics ‐ almost like real MPs do. It’s a show you won’t want to miss! 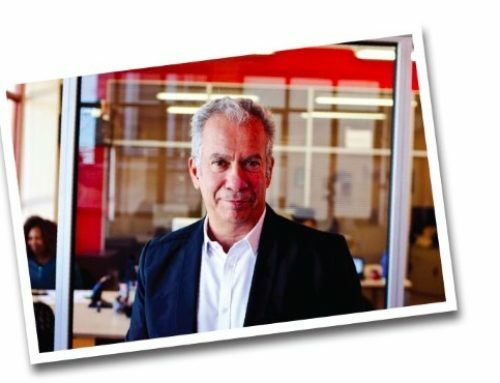 “We are delighted to have such entertaining and current content available for our subscribers to enjoy. 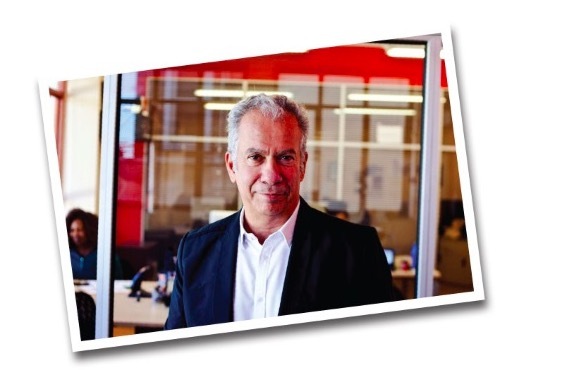 Point of Order is an excellent example of “Local is Lekker,” and we expect it will very soon become a firm favourite with our valued subscribers,” concluded, Sophia Zhang, CEO of On Digital Media, owner of the StarSat brand.